In this post I look at contracts closed in March 2011 in zip code 20016 using data released by MRIS. 20016 is roughly bounded by Western Avenue NW on the northwest, the Potomac on the southwest, Reno Rd/37th St/34th St NW on the east, and Garfield St NW/Battery Kemble Park on the south. It's home [so to speak] to AU Park, McLean Gardens, Spring Valley, Cathedral Heights, Tenleytown, and North Cleveland Park neighborhoods. If you've shopped at Best Buy on Wisconsin Avenue NW or made a visit to Sibley Memorial Hospital, you've been to 20016. Compared to the same month in 2010, aggregate dollar volume was down 6.72%. 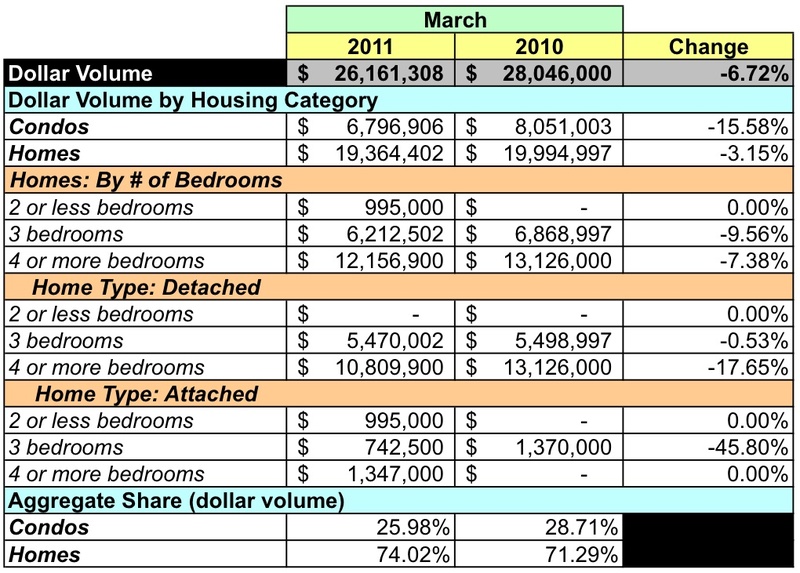 Despite a 13.89% drop in unit sales, the average sales price rose 8.33% and the median sales price was up 6.4%. The average price for a condo fell 5.64%. The average price for a house was 17.6% higher. 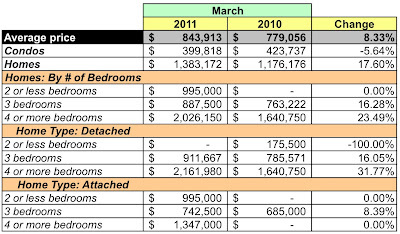 The 17 condos sold for prices between $200K-1MM, the 14 houses sold in the range $600-5MM. Unit sales for condos and houses fell by more than 10% each, down 10.53% for condos and down 17.65% for homes. Zip code 20016's dollar volume in March 2011 was 9.34% of the District's total that month. Its average sales price was 66.57% higher than that of the District as a whole; the median sales price, 75.23% higher. The zip code's 31 units were 5.61% of all units sold in the District. 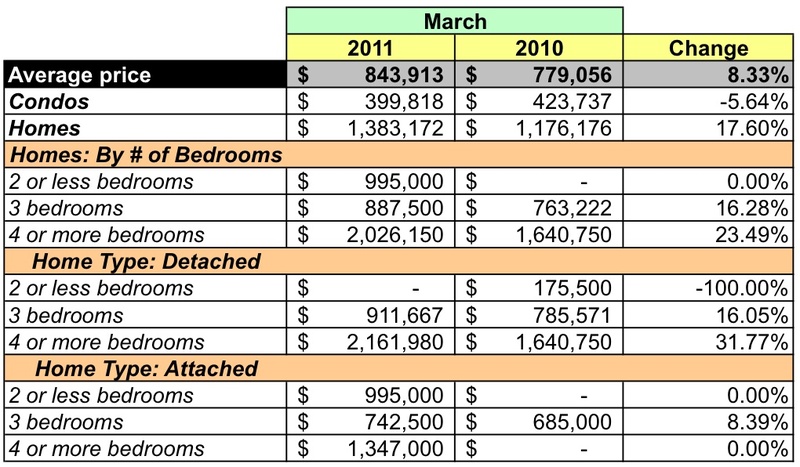 At March's sales rate there's a 4.8 months supply of houses and condos listed in 20016, breaking down to a 5.3 months supply of condos and 4.3 months for houses. Either way, a good market for sellers even though the number of homes listed rose almost 30% from March 2010. According to MRIS, properties in 20016 sold for 95% of the listing price. The entry price for a house in zip code 20016 is about double that for a condo, but there are buying opportunities for buyers of either property type. More than half the condos listed were in the $200-400K price range while 60% of houses listed start at $1MM or more, making condos an easier lift for most buyers.